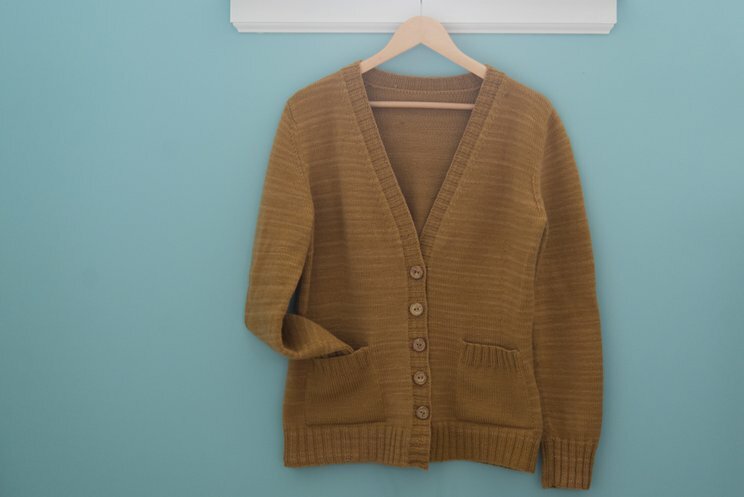 Cardigans are essential wardrobe pieces for most of us - comfortable, classic, and versatile. 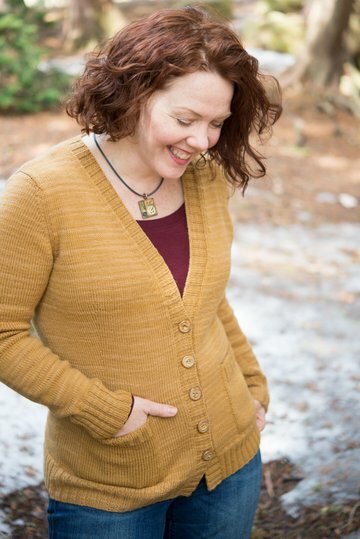 Drumlin's design started when Clara Parkes and I talked about what makes a quintessential cardigan: It has to be a great indoor garment, but also function as a jacket when the weather is right. It needs pockets. It should be comfortable, but not too baggy. Shaped, but not too tight. Workable with lots of different kinds of shirts underneath. This one has you covered, looks great in just about any non-drapey yarn, at whatever gauge you like. 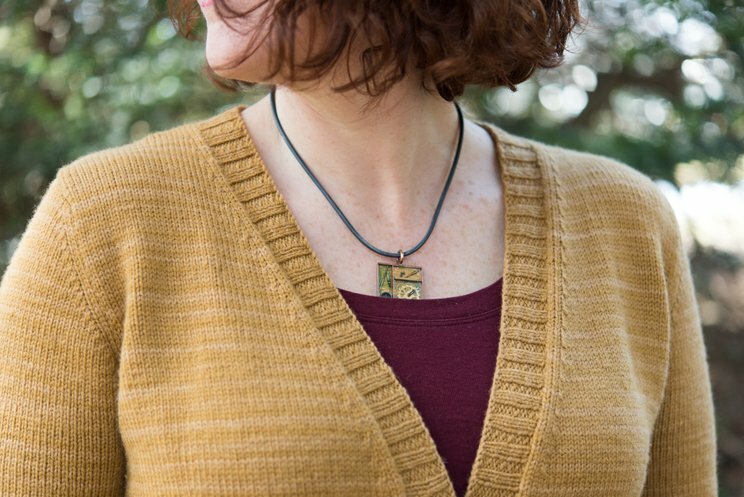 Go ahead - make 4 or 5, in your favorite colors, and be comfortable and stylish in all seasons! 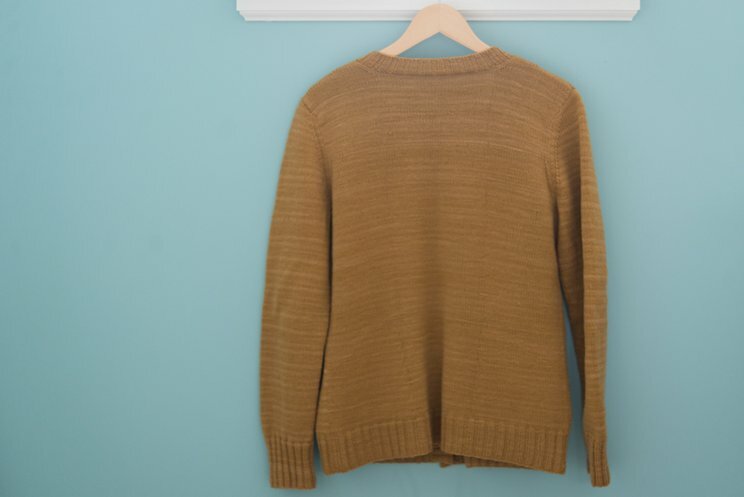 This sample was worked up in Clara Yarn Cormo 2.0, a stunning sport-weight American Cormo yarn in the Honey colorway. If you were not able to purchase Cormo 2.0 while it existed, any worsted-spun, traditional wool yarn will make a great substitute. For a commercially-available yarn that will produce an extremely similar final product, try Imperial Yarns Tracie Too. 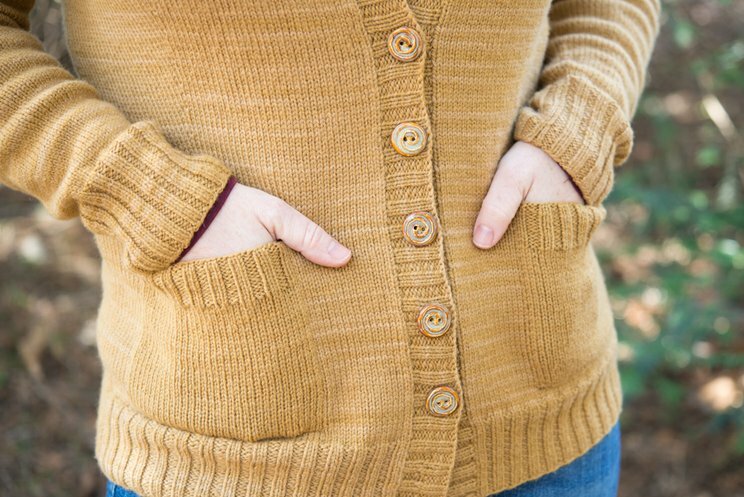 The exquisite buttons on this sweater were created by Melissa Jean Handknit Design and are highly recommended.